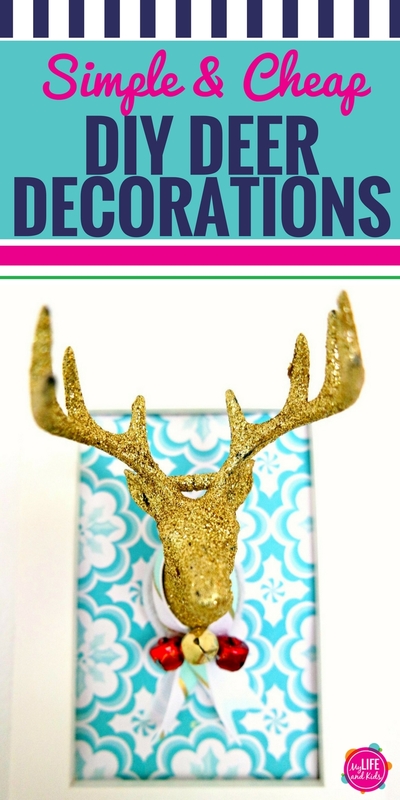 If you’ve ever wanted to try a DIY deer decor project, this is your time. 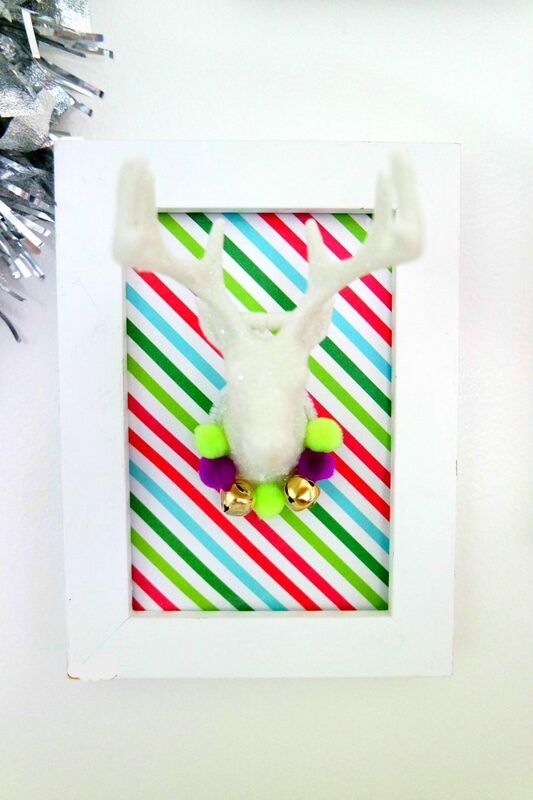 Using supplies from the Dollar Stores or Dollar Tree, this simple and inexpensive deer antler decoration is perfect for Christmas or year round. 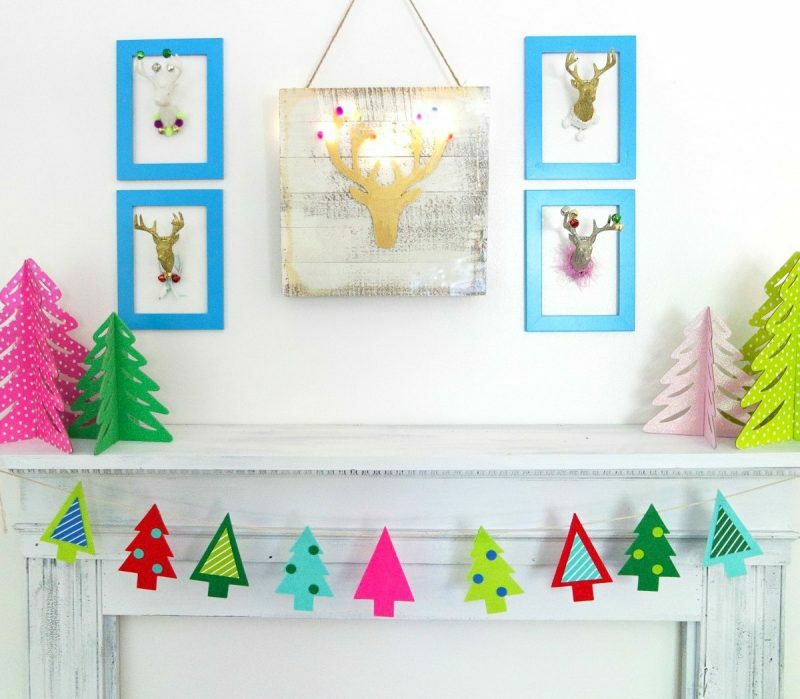 This is a super easy craft that you’re going to love. Hello. My name is Anna, and I have an obsession with animal heads. Well, not real animal heads. 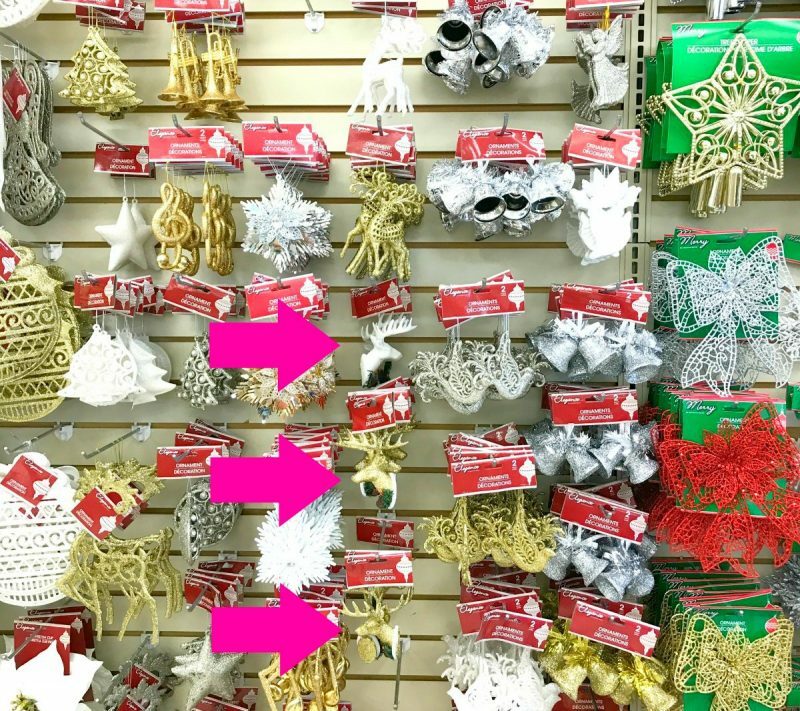 Just the fake kind used in home decor. I have them in nearly every room in my house. 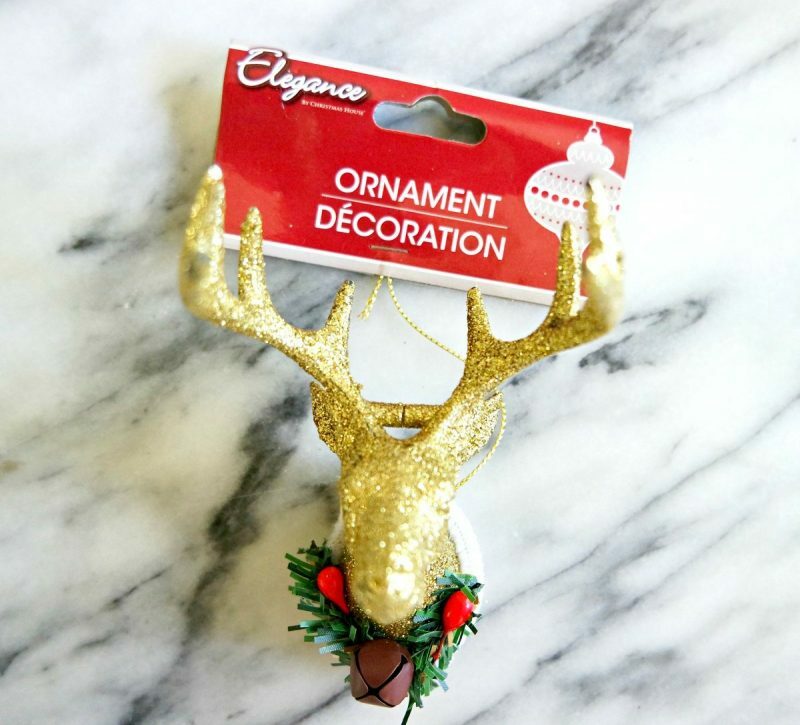 So it’s no surprise that when I saw these little deer ornaments at the Dollar Tree, I became completely obsessed. Adorable on the tree, of course. But with a few modifications, they become even greater! The best news? They’re only $1 each! Cute, right? 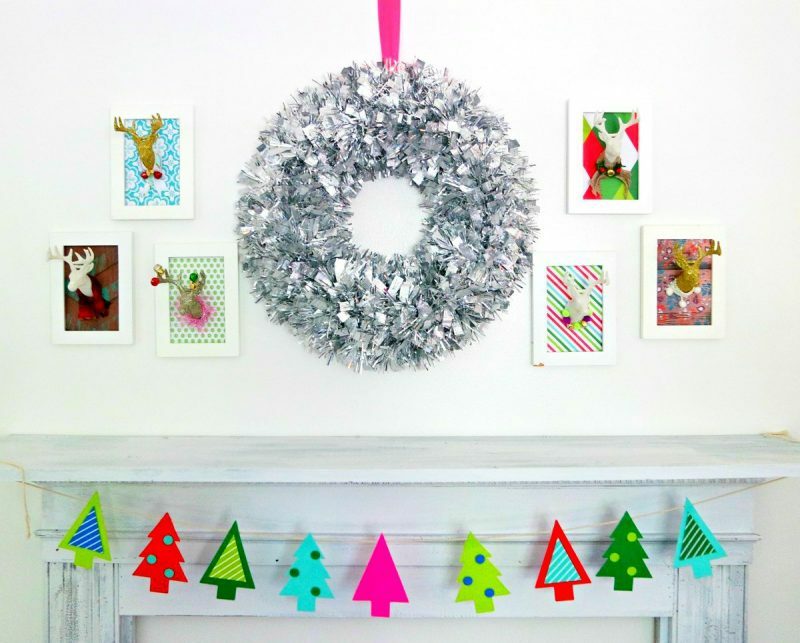 But they’re so much cuter when you tear off the green garland and bell, and add your own flair. Ribbon. Pom Poms. Bells. Burlap. Customize to your heart’s desire! 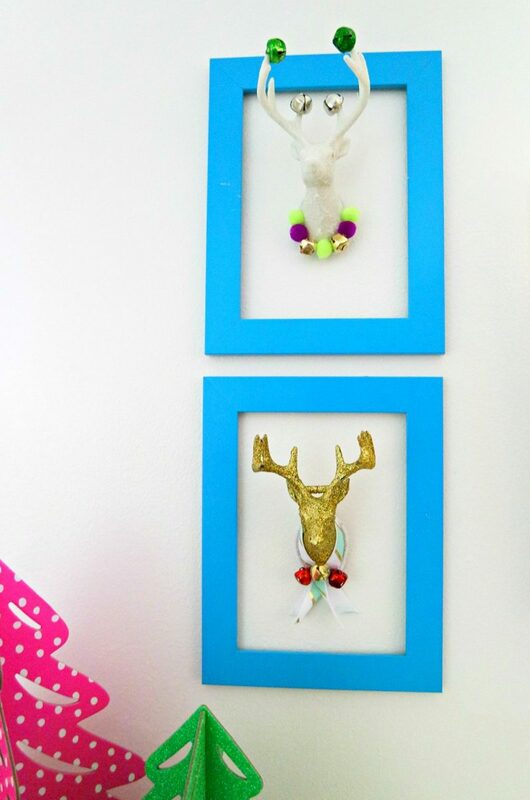 Once you’ve made them your own, you can display them in a variety of ways. 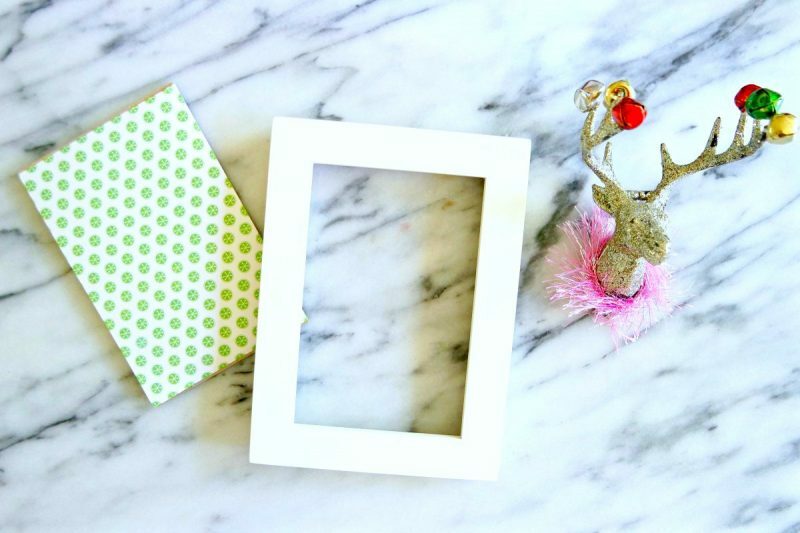 Take an old picture frame, remove the glass, and “frame” a piece of scrapbook or patterned paper. Even wrapping paper will work. Then simply adhere your deer head onto the scrapbook paper. 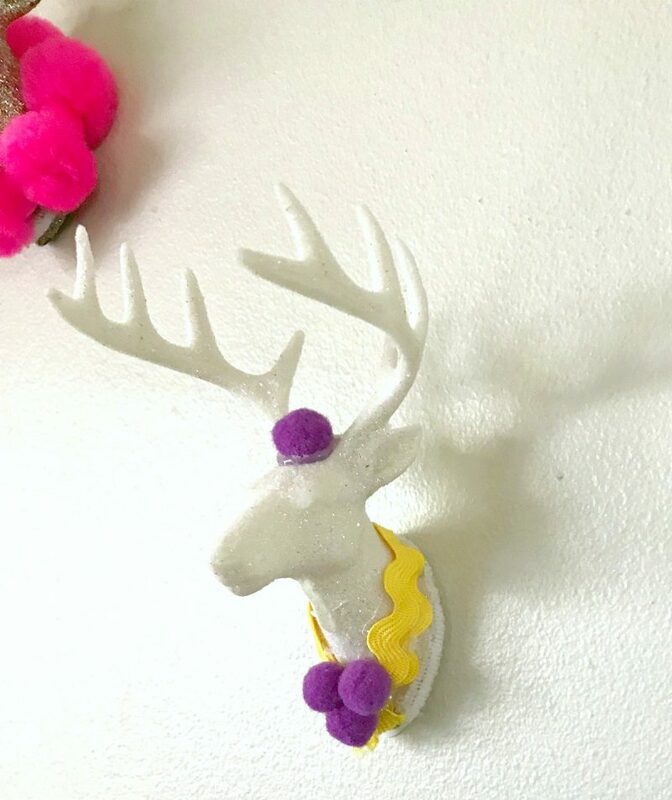 If you don’t have any patterned paper, or you just really want the deer head to be the main focus, simply frame the deer head. Remember how I said that I might have a problem? It’s possible that I created an entire deer family to hang out with the “Mama Deer” in my living room. I refuse to apologize for my obsession. 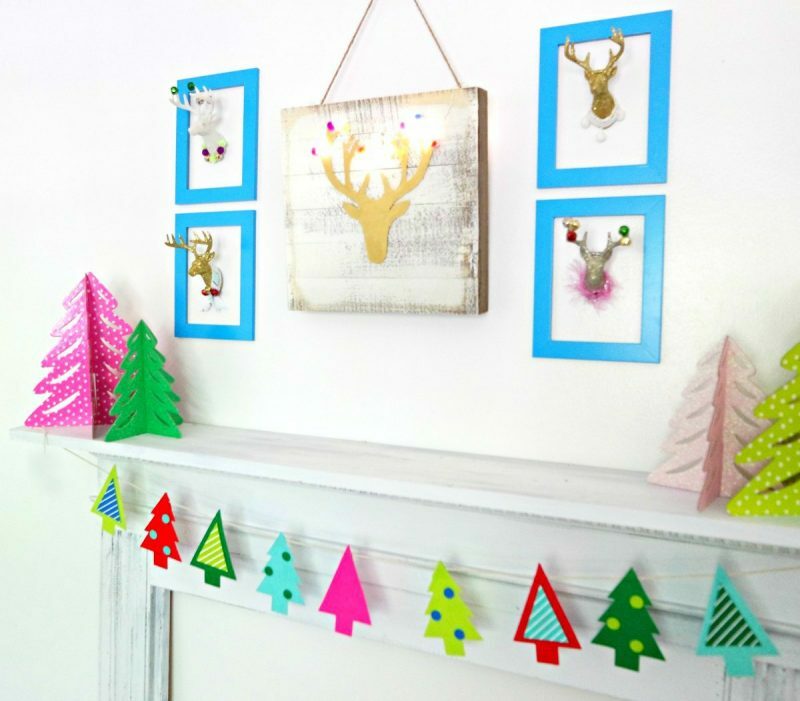 But this does show that if you don’t have any old frames around the house, you can adhere these directly to the wall as well. 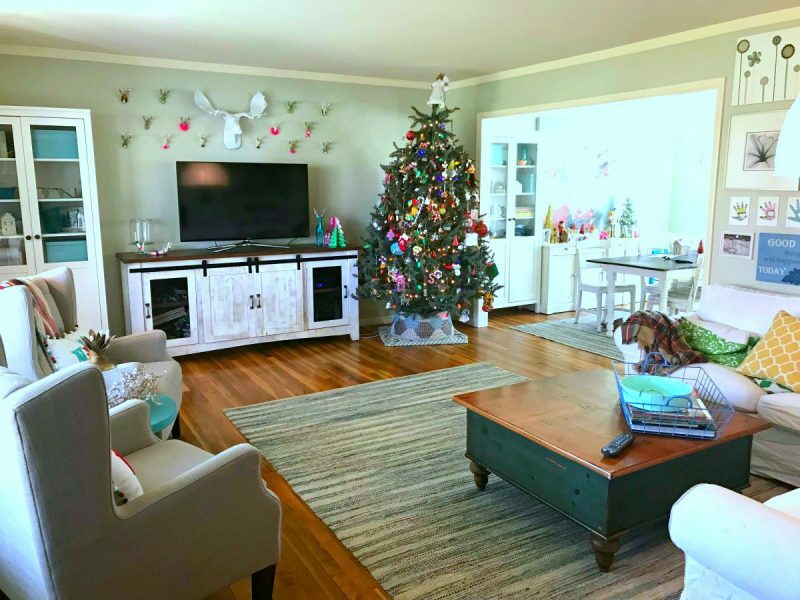 Whether you make one or an entire herd, you won’t find a less inexpensive way to add deer decor to your home. 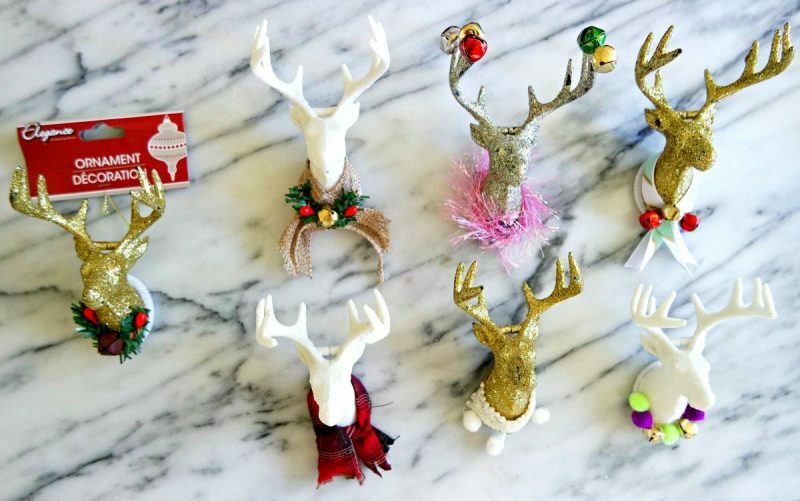 PS – Are you lusting after that acrylic deer silhouette? Learn how to make it here.